What FTP host name do I use to access my web site(s)? To update your web pages, FTP into ftp.yourdomain.com (replace this with your domain name of course) and use your default User ID and Password provided on your Account Activation email (the email you received after your account was first setup). Prior to domain registration (or domain name transfer) you will need to use the IP address or temporary address as the FTP hostname. Propagation of a new domain name may take up to 72 hours. The IP address or temporary address associated with your domain is also included in the activation notice. If you create any links using the temporary address, we suggest that you modify the HTML to reflect your domain name once active world wide. Using relative paths rather than absolute paths when linking web pages will eliminate the need to modify your links. 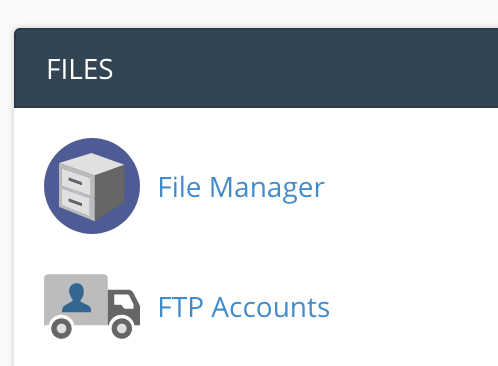 You can create additional FTP User Accounts under the Files section of your cPanel control panel.